After the whirlwind of 4 jam-packed days, the 3Z sales team looked back at MWC Barcelona 2018 confident that it was another successful participation at one of the industry’s largest shows. 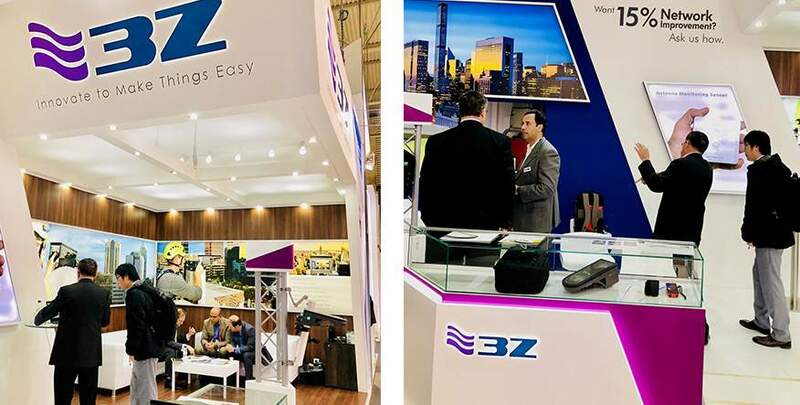 This year, the 3Z Telecom booth enjoyed prime positioning on the main aisle in Hall 6. Sales reps from the US, Asia-Pac, Africa, and Europe converged at the event to showcase the premier antenna alignment tool, the 3Z RF Vision. The eye-catching 10 x 20 ft booth design appealed to passerby’s, many of whom were already familiar with the brand and products. We had the pleasure of speaking to many existing clients, and new prospects from around the world. As always, MWC Barcelona proved to be an incredibly enriching experience with innovative inspiration from top companies in the world of communication. Artificial intelligence, virtual/augmented reality, smart cities, tech for sustainability, mobile-connected devices, IoT, and other exciting innovations were on full display at this year’s show, and 3Z Telecom is incredibly proud to be a part of Mobile World Congress Barcelona with it’s own contributions to the next generation of tech in telecommunications. See you next year, Barcelona!